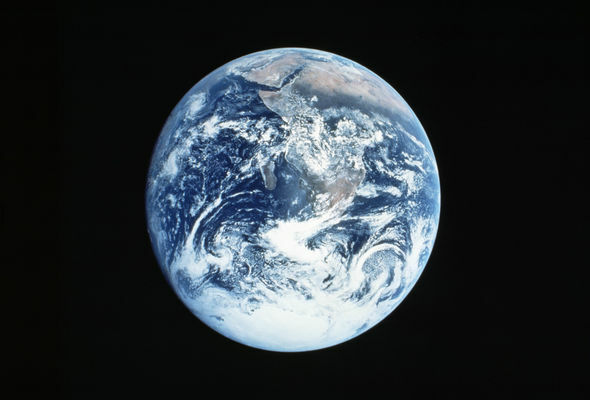 Climate Change Is Causing Earth to Wobble on Its Axis, NASA Says. The agency notes that while melting has occurred at other locations, including Antarctica, Greenland’s location has had a greater influence on Earth’s wobble. “There is a geometrical effect that if you have a mass that is 45 degrees from the North Pole — which Greenland is — or from the South Pole (like Patagonian glaciers), it will have a bigger impact on shifting Earth’s spin axis than a mass that is right near the Pole,” said coauthor Eric Ivins. Scientists also believe glacial rebound plays a role in the planet’s wobble, but it’s not the major contributor scientists previously thought. Mantle convection, or the movement of tectonic plates on Earth’s surface, is another reason for Earth’s wobble, NASA scientists say.